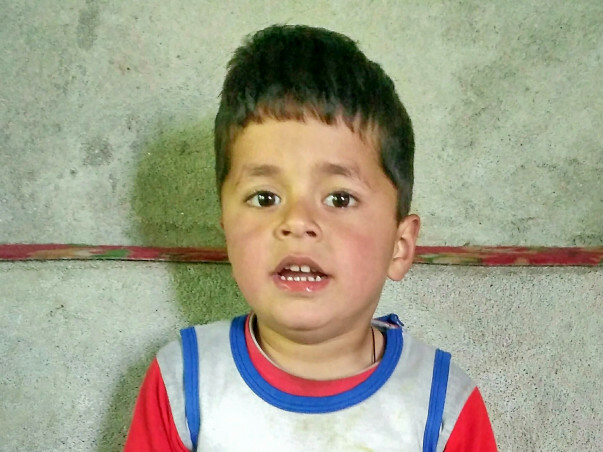 This kid namely Uzair Javid, S/o Javid Ahmad Shah, R/o Khyambar Pattan is suffering from severe Neurological disorder. His labourer father is extremely poor and has no adequate source of income, besides spending about 6 lac rupees on treatment by selling his whole property of land. Now he needs an immediate financial help from you for his kid's surgery in Delhi. Everyone is requested to help him generously for God's sake. 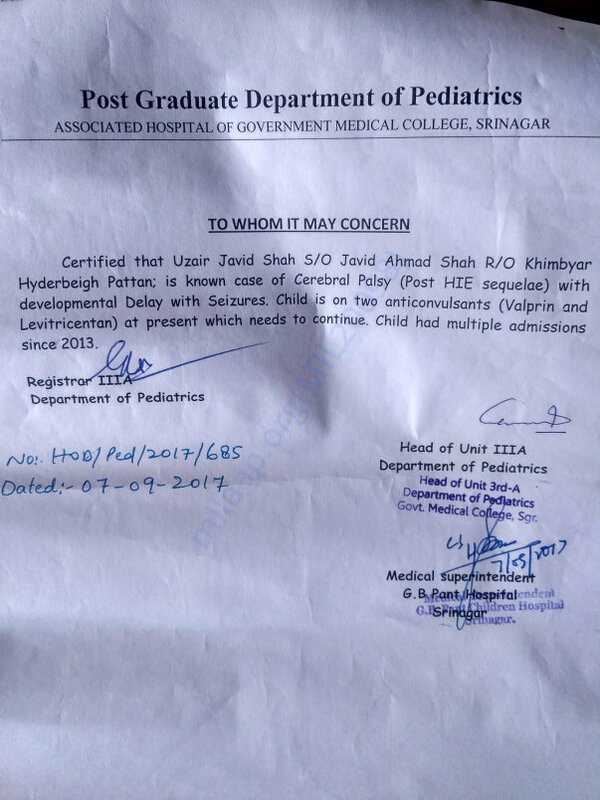 This doctor's Certificate is herby produced as an authentic document.